Rapidly changes in color, size or shape. Is located where it can’t be easily monitored, such as on the scalp. Moles can be “atypical” or precancerous and often need to be biopsied to be examined by the pathologist. Patients with atypical moles need to be examined yearly since these are a risk factor of developing melanoma. Regular examination leads to prevention and/or early diagnosis of melanoma. Melanoma can be fatal, but when diagnosed early, is completely curable. Hemangiomas consist of blood vessesl close to the skins surface and are considered vascular birthmarks. They may appear several weeks after birth. These are common on the head, neck, or limbs and can be pink, red, blue, or purple. Some hemangiomas shrink on their own over time while others grow as the child grows. Our providers will examine your hemangioma and determine if any treatment is needed. 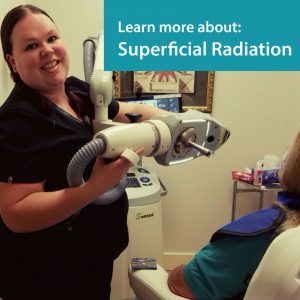 Laser therapy can be one treatment of vascular birthmarks as well as topical or oral therapy. At Gaughf dermatology we stay abreast of the latest research on birthmark treatments.